It’s time to face facts – summer is officially behind us but, that doesn’t mean that you have to give up on your colourful flower garden. Hardy autumn flowers are the perfect way to compliment your trees’ rustic autumn foliage. By September it’s already late in the blooming season. Ideally you will have already planted your autumn blooms but if you haven’t, simply pick up pre-grown plants at your local garden centre and replant as soon as possible to inject some colour into your garden. It can be tricky choosing plants that will be able to bloom in autumn’s cooler climate. That’s why we’ve rounded up some of the best flowers to plant in your autumn flower garden. Available in white, blue and pink, these fun flowers are perfect for introducing a splash of colour into your garden. The tall stems make an ideal filler flower for the back or middle of your borders. 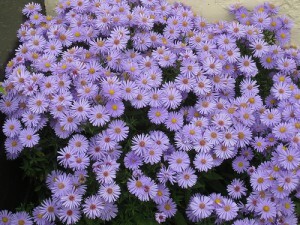 If you plant yours early they can fill in the gap between your perennials fading and your late autumn blooms flowering. 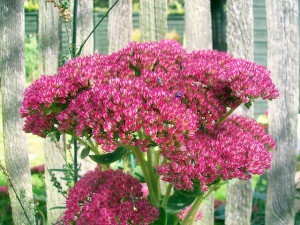 Attract the last of the butterflies and bees to your garden with this brightly coloured bloom. The delicate star shaped leaves on this pretty pink flower are ideal for injecting a burst of colour into your hanging baskets. 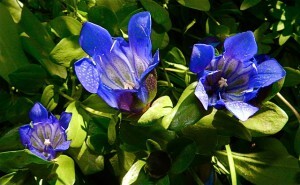 These low growing autumn flowers produce blue trumpet shaped flowers and a spread of vibrant green leaves. To grow best, hardy Chinese Blue Gentians need to be planted in acidic soil. Don’t worry if your garden is too alkaline, simply plant them in a decorative, shallow plant pot of ericaceous compost. 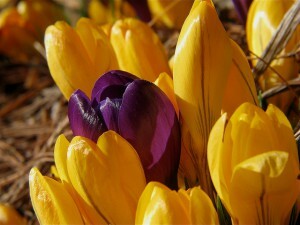 No autumn flower garden would be complete without a striking crocus display! Our top tip is to plant Crocuses in a variety of jewel tones like bright blues and rich purples, so they stand out against your autumn foliage. The best place to plant these gems are under trees so the wet weather doesn’t damage the beautiful display. 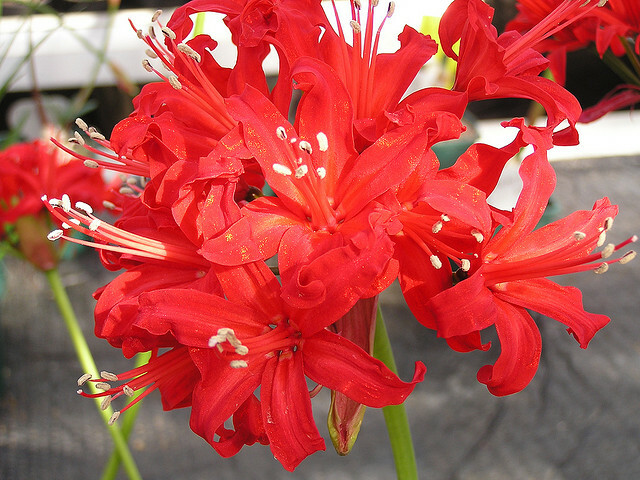 Nerine are late bloomers so they are the perfect autumn flowers to plant now to give your garden a final flourish later in the year. It may take until late September or early October until your Nerines bloom but once they do, it will be worth the wait! 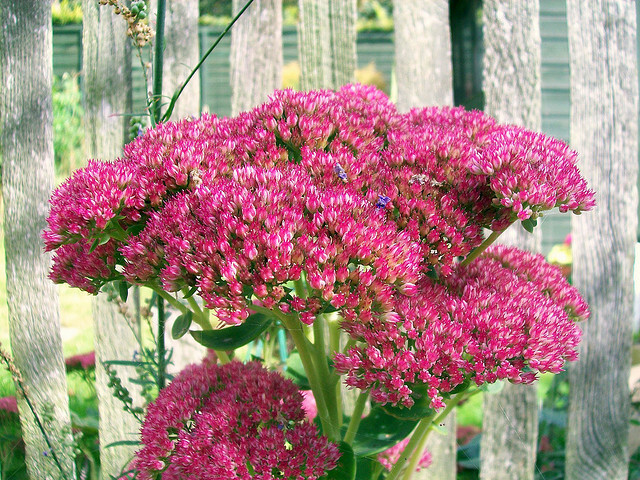 These eye-catching pink flowers have a distinctive bloom which is guaranteed to brighten up a dull autumn day. For healthy autumn flowers, order eDecks’ All Purpose Plant Food today! Our high quality plant food is ideal for helping plants to develop strong roots and, it promotes flowering and growth. 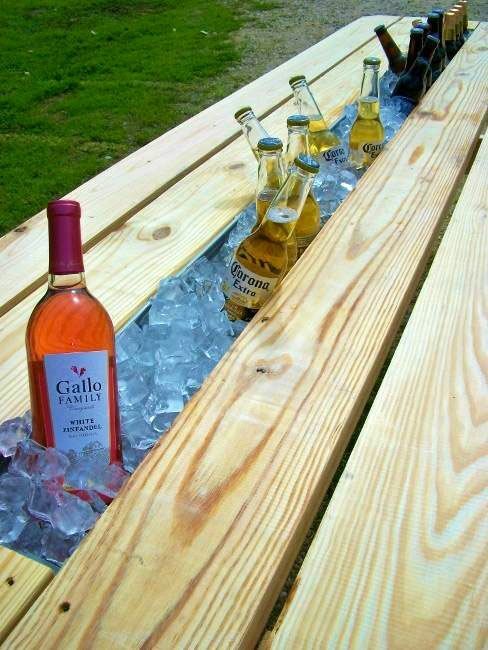 This entry was posted in Gardening Advice on August 29, 2014 by peach. To your child, your garden is one big play area waiting to be explored! Although potential hazards might be lurking in your garden, don’t curb their enthusiasm; with a few simple adjustments you can child proof your garden so they can enjoy their surroundings. 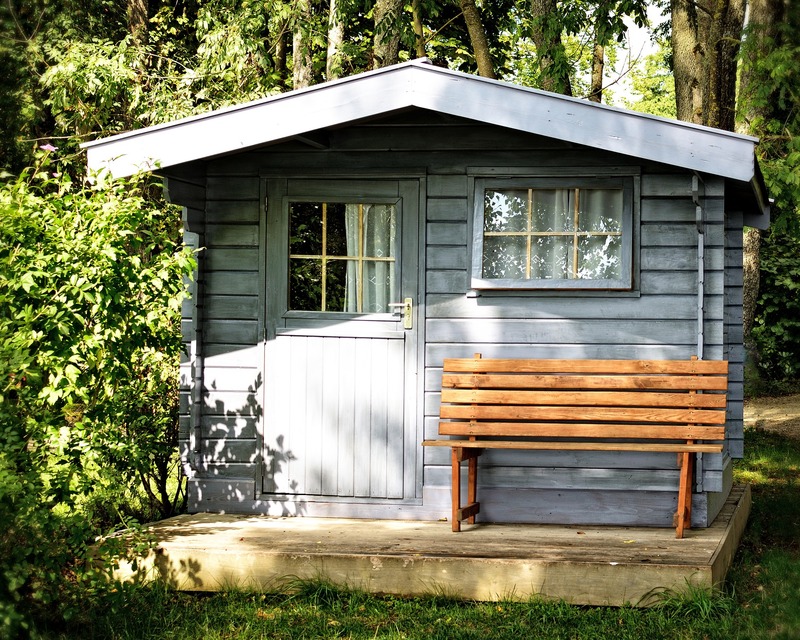 Storing your garden tools safely in shed is the first step towards keeping your child safe in the garden but, curious children aren’t afraid to venture into sheds when they’re looking for new toys to play with! Make sure that your sharp tools like secateurs and lawnmowers are stored safely behind a locked door to prevent accidental cuts and scrapes. If your child is helping you in the garden, don’t leave tools lying within their reach when you have to make a quick trip inside. Even if you’re only gone for a few minutes, your child could take this opportunity to play with sharp shears or, spiky garden forks. The bright colours on the packaging for pesticides, weed killers and plant food can be appealing to small children. Ideally, you should store these dangerous chemicals behind the locked door of your garden shed. However, if this isn’t possible, the next best place to store these products is on a high self where they will be safely out of reach from small hands. 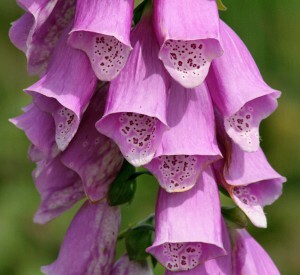 Lily of the Valley, Foxgloves and Azaleas might look beautiful but these blooms harbour a dangerous secret! Like many other common garden plants they are extremely toxic to children when ingested. If you don’t want to remove these plants from your garden altogether, consider fencing them off using chicken wire or pretty trellis fencing. After spells of heavy rain, decking can become extremely slippery! 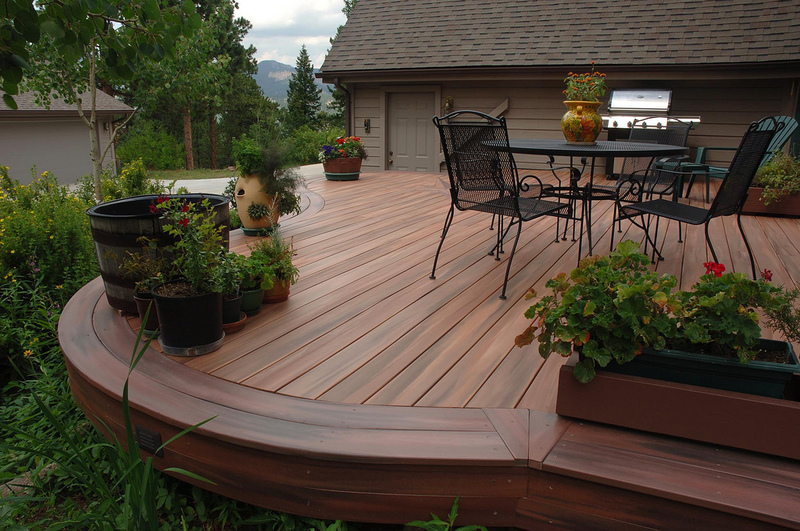 If you live in an area where there is exceptionally high rainfall, consider investing in anti-slip decking. This ingenious solution is perfect for parents with active children who want to be outside as soon as the unpredictable British climate lets them. Before you let your child explore the garden, take a walk around to see if there are any general repair jobs that are creating hazards in your garden. For example, are there any broken shed windows? Does your fence have any broken, jagged panels? Keeping on top of your garden maintenance jobs will go a long way towards keeping your child safe in your garden. 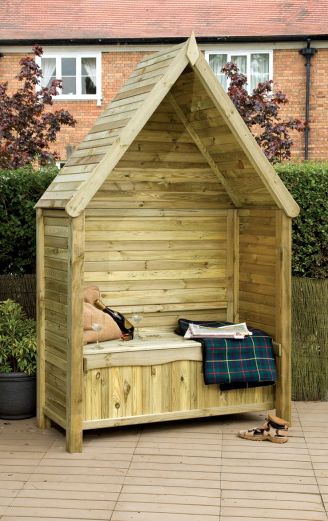 Keep your child safe in your garden with our fantastic range of high quality, discounted gardening supplies at eDecks. This entry was posted in Gardening Advice on August 22, 2014 by peach. If your lawn is looking a bit patchy, you could buy pre-grown turf but, why not save on costs by using grass seed to create a lush lawn? The huge range of grass seed available means that you’re guaranteed to find one that suits your needs and lifestyle whether you want a hardy lawn to play sports on or, grass that will grow in shady areas. The best time to plant grass seed is late-summer summer to mid-autumn when the soil is warm and damp from the rain; creating the perfect conditions for germination. If this is your first time planting grass seed follow our quick and easy guide to create a lawn you can be proud of! Think of your soil as the foundation for you grass seeds. It’s essential to properly prepare the soil in order to get the best out of your seeds. Remove any obstacles that might get in the way of your seeds’ growth. 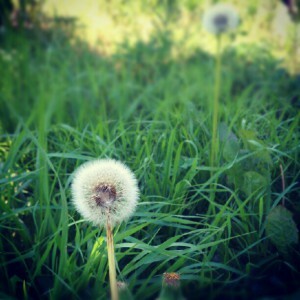 Start by cutting old grass and removing any weeds or stones. Fork the area to break-up hard patches that could prevent water reaching the young grass roots once they have begun to germinate. Rake the soil to level it out. Two to three days before you sow the grass seeds, lightly rake a granular fertiliser into the soil so it’s rich in nutrients. Now that you’ve prepped your soil, it’s time to plant grass seed. Use canes to split the soil into square meters. The general rule of thumb is to use 50g of seeds per square meter (unless the instructions on the packet tell you otherwise). We usually measure out our seeds into a container before spreading them onto each area. When scattering the seeds, split the batch in half and scatter them in opposite directions across each square to ensure that the area is thoroughly covered. 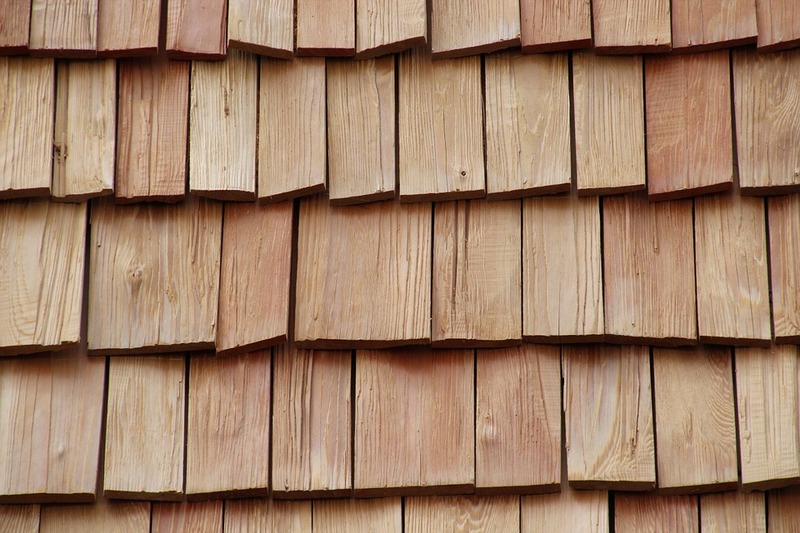 Lightly rake over each square to spread the grass seeds evenly and water well. After planting your grass seeds, there are still a couple of steps to take before you can sit back and enjoy your gorgeous green lawn. Freshly sown seeds are at risk from passing birds looking for food. Protect your grass seeds by stretching fruit netting over the top. Prevent children from accidentally walking over the area by cordoning it off with string and canes. Young seedlings are particularly susceptible to drought so it’s important to keep them watered during dry spells. Weed killers may be too harsh for your seedlings so you’ll have to remove any sprouting weeds by hand. Don’t attempt to cut your new lawn until it’s at least 5cm high and, carefully rake up the clippings to avoid damaging the young plants. Find everything you need to create your perfect lawn at eDecks. We have a fantastic range of grass seed to suit any garden. This entry was posted in Gardening Advice on August 15, 2014 by peach. 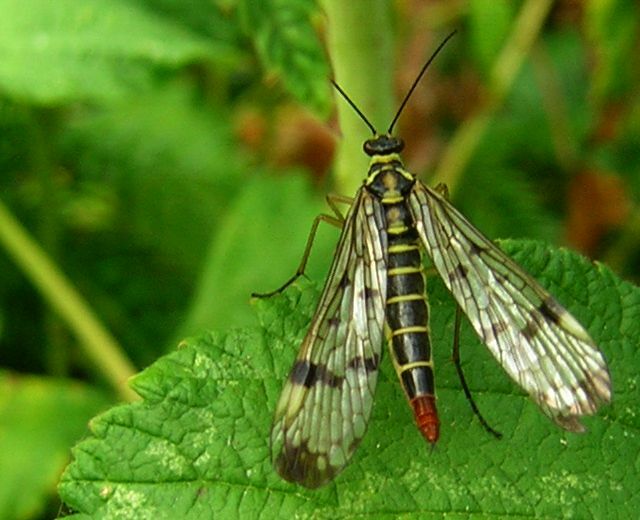 Is your garden under attack from pesky pests? Don’t take it lying down! With some clever pest control techniques you can save your vegetables and protect your plants from being wrecked by bugs and insects this summer. Usually invading garden pests are seeking out a particular type of plant or vegetable in your garden. Mixing different types of plants together will help prevent insects from honing in on a particular variety of plant. Increase the biodiversity of your garden by breaking up long rows of single crops with plants from different families. For example, plant onions alongside tomatoes or, intersperse your vegetables with low growing annual plants. If you’re using an organic mulch it will be doing wonders for your soil but, the warm, damp conditions under the mulch could make it a breeding ground for young insects such as slugs and sow bugs! If these pests become a problem in your garden, reduce the amount of mulch used and, move it back at least two inches from young seedlings and delicate plants that are susceptible to disease. Ward off invading garden pests such as cucumber beetles and squash bugs by going undercover! Use row covers to keep bugs away from your vegetable rows and new seedlings. As an added bonus, this pest control technique can speed-up crop growth by trapping a blanket of warm air around your plants and vegetables. If you have a busy lifestyle you need a quick and hassle free way to win the battle against garden pests. Invest in a good pesticide to instantly get rid of troublesome garden invaders. When you are choosing a pesticide try to get one that is tough on bugs and insects yet, gentle on your plants. Don’t buy an all-round pesticide unless you really need to; if you are having trouble with a particular type of pest, a bug or insect specific pesticide will be far more effective. What’s your favourite pest control technique? Tell us how you protect your garden from invading bugs and insects! 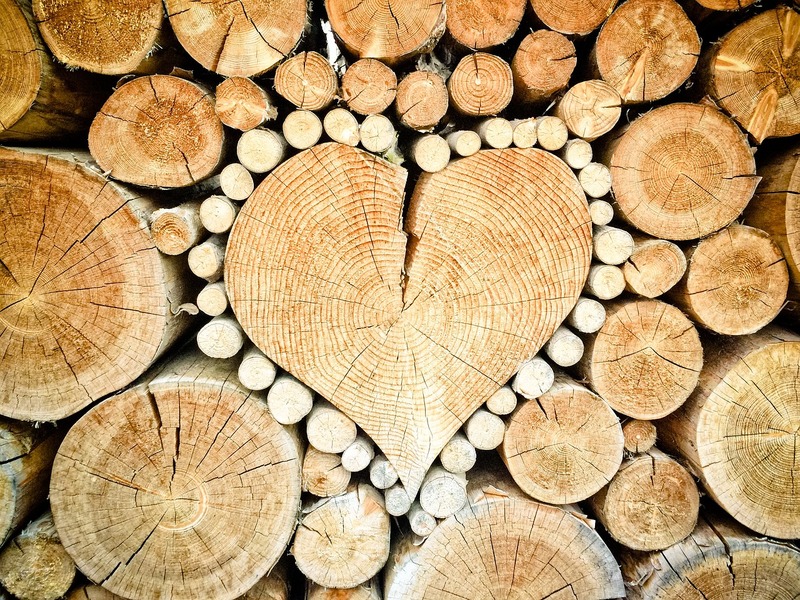 Visit eDecks today for a fantastic range of garden supplies at great discounted prices. This entry was posted in Gardening Advice on August 13, 2014 by peach.